- WHAT IS THE ORIGIN OF TELLUS? Born in Paris, the fashion capital of the world, Tellus provides must-have fashion combining scrumptious materials such as dazzling Swarovski elements and Italian python leather in the latest fashion colors. Tellus watches do not go unnoticed. - IN WHICH COUNTRIES ARE TELLUS WATCHES DISTRIBUTED? Tellus watches are mostly distributed in Asia, USA, Middle East and Australia. Recently, the brand is being developed in Europe and Eastern Europe, principally in Russia and Ukraine. - WHERE ARE TELLUS WATCHES MANUFACTURED? Very committed to French watch-making know-how and history, Tellus products are primarily produced and assembled in France. We mostly use Ronda movement developed in Switzerland. From the moment you place your order, you have 14 business days after the receipt of the goods ordered to return or exchange your product if it does not meet your expectations. To do this, please refer to ARTICLE 8 - RIGHT OF WITHDRAWAL of General Conditions of Sale. We advise you to pack your watch with as much care as possible (send it in the original packaging if possible) to avoid shock and damages during the shipping. Upon receipt, we will proceed with a refund or pay you the difference if your replacement choice was more expensive compared to your initial order. The calculation is based on the price of the watch with taxes, excluding the shipping costs. - HOW LONG IS THE WARRANTY AND WHAT ARE THE CONDITIONS? A Tellus owner has an international two year warranty starting from the date of purchase. The guarantee certificate, and if possible the receipt, must be sent along with the watch for any repair. This warranty covers manufacturing defects and the movement’s good working order. This guarantee does not cover the battery life, normal wear and tear of the materials, the strap, the glass, the watch case, peeling of the plating and any damages resulting from negligence, shocks, accidents, lack of care, failure to follow operating instructions supplied by us, improper use or intervention done by a third party not authorized by Tellus. The conditions of this guarantee doesn’t affect the customer’s rights for an appeal in any way if the customer thinks that there are some hidden misconceptions in accordance with the Article 1641 of the Civil Code. - WHAT IS A QUARTZ WATCH? Quartz watches are simply watches that are battery powered, or more specifically, uses an electronic oscillator powered by a quartz crystal to create an extremely accurate measurement of time. - HOW LONG DOES A WATCH BATTERY LAST? It depends on the type of the watch, dimensions and capacity of the battery, the size and weight of hands, and the amount of energy required by the different functions of the movement. In most cases, a battery in a brand new quartz watch with basic time and date functionality may last up to three years. - WHAT IS A MECHANICAL WATCH? A mechanical watch is a watch that uses a mechanical movement to measure the passage of time, as opposed to modern quartz watches which function electronically. It is driven by a spring (called a mainspring) which must be wound periodically. Its force is transmitted through a series of gears to power the balance wheel (a weighted wheel which oscillates back and forth at a constant rate). - WHAT IS THE POWER RESERVE FOR A SELF-WINDING MECHANICAL TELLUS WATCH? The functioning of a self-winding mechanical movement depends on the wrist movements of the wearer. When fully wound, a watch will usually have a power reserve of around 48 hours. - WHAT ARE THE WATERPROOFING RULES FOR A WATCH? The resistance of a watch is always shown on the back of the case. So if no indication is given, your watch isn’t waterproof. A 30 meters water resistant watch does not allow immersion and can’t bear more than the occasional splashes. That's why we advise you to remove your watch before any contact with water: washing hands, cleaning dishes. A 50 meters water resistant watch will allow you to immerse it but with a reasonable use in the bathroom tub or a pool without any diving. Please be aware that a direct jet from a shower or a tap directly on the glass or the push buttons may be the equivalent of a 50 meters water pressure and your watch may then take the water. A 100 meters water resistant watch will not take water and will resist immersions even when used during water sports. A 200 meters water resistant watch can be used in deep water while scuba diving, jet skiing, or diving. - WHAT ARE THE SPECIFIC FEATURES OF TIME TO CHANGE COLLECTION? Based on the fact that a woman acquires a watch for its functionality as well as its color and the material of her band, Tellus came up with an innovative concept where one can change the straps/bands of the watch at will, depending on seasonor mood. You can choose your own combination by purchasing the watch case of your choice and pairing it with any of the 100 different bands in every color of the rainbow. - WHERE DO THE CRYSTALS ON TELLUS WATCHES COME FROM? We only use Swarovski elements for our watches. - ARE TELLUS'S GOLD WATCHES MADE OF SOLID GOLD OR ARE THEY GOLD-PLATED? All Tellus watches (gold and rose gold) are gold-plated. - DOES TELLUS’s STAINLESS STEEL WATCHES CONTAIN NICKEL? No, the stainless steel used by Tellus does contain nickel. - HOW CAN I LOOK AFTER MY WATCH TO MAKE IT LAST? Magnetic fields: unless your OMEGA watch is equipped with a Master Co-Axial Chronometer movement, resistant to magnetic fields greater than 1.5 tesla (15,000 gauss), we recommend that you avoid exposing it to powerful magnetic fields such as loudspeakers, refrigerators, certain handbag clasps, I-pad cases etc. Diving in the sea: always rinse your watch with warm water afterwards. Please note: we recommend that you have the water resistance of your watch checked once a year by an authorized OMEGA Service Center. Crown: screw it in carefully to ensure that no water enters the mechanism. Temperatures: avoid extreme temperatures (above 60C, or 140F, below 0C, or 32F) or extreme temperature changes. - WHAT IS THE PRICE RANGE FOR TELLUS WATCHES? The price varies from 90 Euros to 510 Euros for a diamond watch. The average price is about 150 Euros. - WHERE CAN WE BUY TELLUS WATCHES? 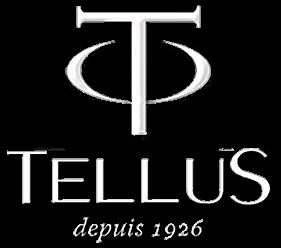 The easiest and fastest way is to buy a watch on the website www.tellus-watches.com. You can even personalize your watch via the website. - IS IT POSSIBLE TO SHIP A WATCH OUTSIDE OF FRANCE? We ship our orders via Lettre Max, Colissimo, or Paquet Prio. The choice of forwarder depends upon the country where the order is to be shipped.